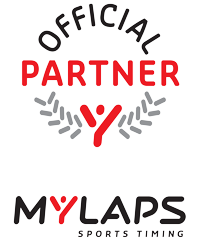 It has come to the attention of MYLAPS that some of the Rechargeable X2 Transponders are not working according to the MYLAPS standard. MYLAPS apologises for any inconvenience that this has caused. Analysis shows that even after thorough testing of the battery, in rare cases some of the X2 Transponders malfunction, due to a mechanical breakage within the battery. How can I identify this? First, check if your X2 Transponder has an active license and is charged. Connect the X2 RaceKey to the X2 Transponder. If the charge LED on the X2 RaceKey goes green immediately (instead of blinking red), the X2 Transponder has the battery malfunction. Click here for video instruction. Keep the X2 RaceKey connected to the Transponder while charging for at least 2 minutes. Remove the X2 RaceKey from the Transponder: if the Transponder shows no power indication from the M8 connector (which is at the top of the Transponder), the X2 Transponder has the battery malfunction. Click here for video instruction. What is MYLAPS doing to resolve this? MYLAPS are working both internally and with our battery supplier to pinpoint the exact reason for this rare malfunction. In addition to these important steps, we are identifying and testing alternative battery types. What can you do in case you have a malfunctioning X2 Transponder? 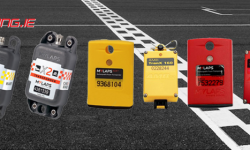 In the case that you have an X2 Transponder with the described battery issue, MYLAPS will replace the affected X2 Transponders free of charge as part of their warranty policy. Please fill in their support form or contact your local office for further information. MYLAPS apologises for any inconvenience caused!